As prepared for delivery to the Confederation of Indian Industries (CII) in Mumbai, India. I am honored to be here with the members of the Confederation of Indian Industries. As leaders of arguably the most dynamic and inspiring economy in the world, you are in many ways writing the story of the future, and it’s a privilege to talk with you. The MIT delegation has been in India since Sunday, and we have been overwhelmed by the warmth of our welcome. It’s the kind of greeting one would expect from an old friend. And of course, India and MIT are very old friends. One hundred and twenty-seven years ago, Keshar Melhar Bhat enrolled at MIT, the first in a remarkable line of students who have come to MIT from India. Since then, India and MIT have woven a powerful web of connections. Some of these connections have been institutional. For example, after Independence, as India aggressively built its strength in higher education, the Indian team that launched IIT Kanpur worked closely with US colleagues, led by MIT Professor Norman Dahl. In 1961, the founding of IIM Calcutta involved an MIT group, including Nobel-prize winning economist Paul Samuelson. And in the early 1960s, G.D. Birla invited MIT to play a role in shaping the curriculum at the new BITS Pilani. Many more of our connections with India have been personal. Among our faculty, impressive numbers are Indian-born and educated, including our Dean of Engineering, IIT Madras graduate Subra Suresh. Needless to say, as with any true friendship, the India-MIT connection has been a two-way street. For at least 40 members of our faculty, India is already integral to their research, from economics to biomedicine to urban planning. Faculty leaders doing research linked to India include the Dean of Architecture and Planning, the Dean of Graduate Students, the Chair of the Faculty, and the Dean of MIT Sloan – and those kinds of connections and collaborations are poised to become much deeper and richer. I’ll come back to that in a minute. It’s the same two-way story for our students. Over the years, as you know, MIT has welcomed thousands of Indian undergraduate and graduate students. The number enrolled today at MIT stands at 222. What might surprise you, though, is that we are also sending growing numbers of MIT students to India, through our MIT-India internship programs. Each student typically spends two to three months here, working full-time on a serious technical project for an Indian company or research group. For example, in the past two years, we’ve sent 52 students – including Heather Pressler, a young biologist who worked at Dr. Reddy’s Laboratories, Payal Agarwal, an electrical engineer who joined TCS here in Mumbai, and Mandy Tam, a Ph.D. candidate who analyzed market data at the Times of India. To my ear, what he captures is not just his own experience; it’s the essence of the bond between MIT and India: a bond based on mutual respect and appreciation, a willingness to learn from each other, and a passion for tackling the immense shared challenges of our time. I believe that it’s time now to build on that bond – and time for MIT and India to begin a tremendously exciting new era of partnership and collaboration. I have a few specific ideas to discuss today. But I want to frame them in terms of what I believe will be a central theme of our work together: the opportunity of innovation. The kind of innovation that produces unexpected answers on climate change, energy, and the environment. Innovation that inspires new strategies against poverty and disease. And innovation that drives economic growth. Frankly, for most of human history, universities were not in the business of having new ideas; they were busy conserving old ones. Isaac Newton and Vikram Sarabhai were the exceptions, not the rule. But since World War II, it has been estimated that half of all US economic growth – fully half – has sprung from technology, and much of that technology has its roots in university-based research. Ideas generated at MIT alone have spawned more than 4,000 companies. At last count, they employ well over a million people. MIT research is behind two of today’s new targeted drugs against cancer. And MIT brainpower has created tools so important that it’s hard to remember what the world was like without them, from the spreadsheet to functional magnetic resonance imaging. The value of innovation is obvious. How Do We Fuel Innovation? So for us, as leaders of universities, private industry and government, the question becomes: how do we keep the engine of innovation moving – and moving faster? And how do we educate our students so they, themselves, are primed to innovate? In studying our own experiences at MIT, we’ve found that it takes an “eco-system”: a large number of interlocking factors and conditions that allow innovation to thrive, and, importantly, that help new ideas make it to the marketplace. Generalizing broadly, it comes down to four factors: competition for the best people and ideas, the flexibility to pursue those ideas, a deep commitment to basic research, and above all, an enthusiasm for opening doors. Let me describe each of these briefly. First, competition. Like all US research universities, since World War II MIT has had to compete against its peers for federal research funding. I can’t say that we always enjoy it! And the system does have its inefficiencies. But I’m convinced that this kind of peer-reviewed competition is very, very good for us intellectually. In the same way, because we compete actively with our peer institutions for top faculty and students, we have no choice but to drive ourselves constantly towards excellence. More and more, of course, the competition for talent is global, a fact that will continue to raise the bar intellectually for us all. At the same time, it will create an exceptional academic peer community around the world, and that fact is going to inspire, and drive, some extremely interesting collaborations. The second factor in our “innovation ecosystem” is intellectual flexibility. Fortunately, the US government gives MIT and other research centers considerable autonomy to set our research agenda – so we’re free to follow the best ideas of our faculty wherever they lead. That’s true even for state-sponsored US colleges and universities. The government cannot fund every daring new idea, but nor does it try to stop us from pursuing them. At the same time, like a business, we benefit from having multiple sources of revenue – not only government grants and tuition, but foundation funding, industry partnerships, private donations and income from our endowment. With these alternate funding streams, we have the flexibility and confidence to seize new intellectual opportunities whenever they arise. As one example, our OpenCourseWare initiative, or OCW, was an idea that arose from our faculty. They saw it as a moral imperative for us to share the vast majority of our course content with the global community, via the web -- as your IITs have done. So we did – thanks not to government funds, but to significant support from foundations and corporate partners. Competition and flexibility stimulate us as an institution. And they inspire our faculty and our students, too. Within MIT, faculty and students are constantly competing to produce the best ideas – and we offer them the flexibility to be intellectual entrepreneurs. The third factor I want to mention may sound odd in a talk about innovation – but I’m convinced that much of MIT’s success in delivering important, practical advances comes from our strength in basic research. MIT is a $600 million research operation. A substantial fraction of those dollars support research that is not obviously “translational,” not explicitly focused on solving practical problems, or responding to market needs. It’s the kind of work I’ve done myself as a neuroscientist: pure, curiosity-driven exploration, conducted in an environment saturated in advanced technology, thanks to long-term government support for our fundamental research. Not surprisingly, that environment has made MIT a hotbed of new insights and ideas that often lead to unexpected real-world results. Let me offer two quick examples: first, the work of Richard Schrock, from our Department of Chemistry. In 2005, he received the Nobel Prize for his contributions to understanding the chemical reaction known as metathesis, in which double bonds are broken and rearranged between carbon atoms, mediated by special catalysts. It doesn’t sound very “marketable,” does it? But in fact, his fundamental research has spurred the development of new catalysts for the complex synthesis of drugs and advanced plastics – and that in turn has made those processes both more efficient and more environmentally friendly. A second example of the value of basic research takes us outside the realm of science and technology. Four years ago, MIT launched the Abdul Latif Jameel Poverty Action Lab, or JPAL. It’s based on a simple but unprecedented idea: that we could use the degree of scientific rigor one would expect in testing a new drug or medical technique, and apply it to anti-poverty programs – allowing us to measure, for the first time, which interventions really work. Today, we have more JPAL projects in India than in any other country, on pressing topics from health care to education. And JPAL’s path-breaking basic research has, for example, already spurred practical new ideas about the best use of microfinance. The fourth and final element in our innovation ecosystem is what you could call an enthusiasm for opening doors – at every level of our work and in every possible direction. What we’ve found is that innovation flourishes when people and ideas can flow – across, through and around almost every kind of traditional academic structure. For instance, it’s convenient for us to think of teaching and research as separate. But when we open the doors between them, we inevitably improve the quality of both. At MIT, virtually all our faculty, even the Nobel laureates, teach undergraduates. At the same time, all MIT professors conduct their own advanced research – and they bring that enthusiasm, relevance and cutting-edge knowledge into the classroom. You can imagine how powerful that is for students. And as our faculty will tell you, having MIT students question you about your research is a very effective way to sharpen your ideas! Given that sense of intellectual intensity and excitement, it’s no accident that 80 percent of our undergraduates choose to participate in frontline, hands-on, faculty-driven research, through our Undergraduate Research Opportunities Program, or UROP. The same open-door principle applies in a striking number of other areas, too: in our experience, accelerating innovation means opening doors between traditional disciplines, between academic institutions, between the academy and industry – and between MIT and countries around the world. Let’s start with the doors between disciplines. In science and technology, the most exciting ideas are cropping up at the intersections between traditional areas of study. In some fields – as with energy and the environment, a major focus at MIT – it’s impossible to imagine making progress unless you can unite the work of engineers, physicists, architects, urban planners, economists, political scientists and more. Subra Suresh, our Dean of Engineering, is a materials scientist. He spent 20 years studying the mechanical properties of synthetic materials, at the atomic and molecular scale. Then a few years ago, he shifted his focus to cells and disease – specifically malaria. Not surprisingly, physicists and engineers had rarely, if ever, looked at malaria. But Subra put together a lab of engineers, biologists and material scientists. They learned to speak each other’s disciplinary languages. They began adapting the tools of nanotechnology to study infected cells – and they quickly uncovered crucial new facts about how malaria makes red blood cells too stiff to function. Eventually, these discoveries could lead to new diagnostic tools and new treatment strategies for malaria patients. That’s the power of opening the doors between disciplines. And at MIT, we not only allow that kind of work, we actively encourage it. We give students and faculty the confidence to cross disciplines as easily as they cross the street, and to tread boldly into unfamiliar territory. It’s our culture, and our practice. Opening the doors between institutions can be harder, but the results can be revolutionary – as they have been with a group we call the “Harvard-MIT Division of Health Sciences and Technology,” or HST. Forty years ago, HST began as an unprecedented model of medical education, one that would combine Harvard’s strength in medicine with MIT’s expertise in technology. Working in tandem, the two institutions train MIT graduate students in fields like physics, engineering and business, side by side with Harvard Medical students – and together they emerge as an extraordinarily impressive group of young biomedical innovators. A huge part of their education they gain from each other. Because their backgrounds are so different, as one student put it, “It’s a daily event that one of my classmates asks a question that would never have occurred to me.” One signature HST graduate is engineer-turned-physician David Ho. It was his highly mathematical research that transformed AIDS into a treatable disease. HST is also a thriving inter-institutional research enterprise. Is it complicated to administer? Yes. Is it worth it? Absolutely. And I’m very excited to tell you that yesterday in Delhi, we launched a partnership with India’s Department of Biotechnology that will bring to life a new Translational Health Science and Technology Institute in India, to be known as THSTI. Like HST, THSTI will include faculty from multiple disciplines and professions. It will offer degrees through multidisciplinary programs, and develop strong ties with other institutions, including MIT. In the short-term, HST will help THSTI hire its founding faculty and build an interdisciplinary culture. But we are in this for the long-term. And we look forward to a future of intense collaboration – across disciplines, across institutions and across continents. MIT’s innovation ecosystem has a lot of moving parts. Our Industrial Liaison Program, for instance, fosters connections between our faculty and students and more than 180 member companies. To speed the process of technology transfer, we’ve also developed a very active and effective Technology Licensing Office. This past year, MIT received 149 US patents, and many international counterparts. We signed 85 licenses, and 32 options to license. And 24 new companies were founded on the basis of MIT intellectual property. One of our most important centers of activity is the Deshpande Center for Technological Innovation. It was the brainchild of Desh Deshpande -- another proud IIT graduate, and a leading voice on the MIT Corporation, our Board of Trustees. 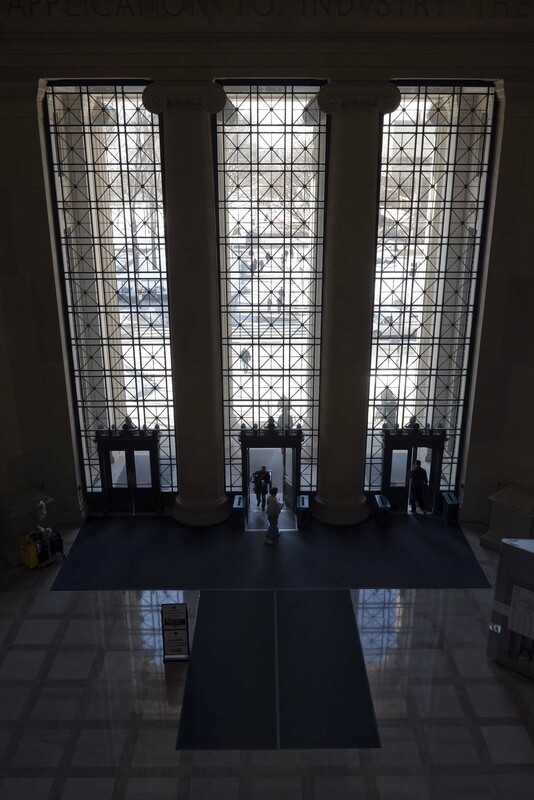 By funding novel, early-stage research, and connecting MIT’s innovators directly to venture capitalists and the business community, the Deshpande Center acts as a catalyst. It helps emerging technologies take shape, and make their way to the marketplace. We also pursue innovation globally, from Cambridge to Singapore to Portugal to Abu Dhabi. Building on the successful model of the Deshpande Center, we are preparing to launch a new International Innovation Initiative. “I-cubed,” as we're calling it, will strengthen, connect, and accelerate MIT's innovation efforts around the globe through partnerships with other institutions. I'm delighted to report that, thanks to recent conversations with M.S.Ananth, the Director of IIT Madras, we are formulating plans for key collaborations with IIT Madras India in this promising partnership. So far, the activities I’ve described are focused mainly on technology transfer. But MIT also enjoys more-direct connections with industry: This fall, for example, we announced a major new energy research partnership with Ford Motor Company, focused on new power train, fuel and energy technologies that will deliver sustainable transportation for consumers. Together, industry-sponsored research accounts for a significant proportion of MIT research funding: in 2006, the figure was 13 percent. At MIT, we place tremendous value on these partnerships, because they connect us directly to a range of important human problems, and help focus our efforts for lasting impact. Finally, it has never been more clear that the future of innovation will be told in many, many different languages. In a world with so much talent, no one has a monopoly on good ideas. As researchers, if we are driven to find the most gifted collaborators and the most intriguing ideas, we must be prepared to look far beyond our own backyards. And as educators, if we fail to help our students learn to live and work with their peers around the world, then we have failed them altogether. For decades our faculty members have been building individual connections with collaborators on every continent. As an institution, we have also begun some exciting partnerships; one flourishing example is the Singapore-MIT Alliance, an innovative engineering education and research collaboration among the National University of Singapore, Nanyang Technological University, and MIT. Yet despite the success of such ventures – we know that some of our greatest alliances still lie ahead. From examining our own experience, at MIT we’ve tried to identify the elements essential for innovation, from competition and flexibility to basic research and every kind of open door. Yet of all our lessons, perhaps none is clearer than the value of having the right partners. MIT and India have a great deal to build on, starting with a century of friendship. I believe the strength of that friendship springs from some important cultural parallels between India and MIT: we both place a premium on analytical thinking. We both prize academic excellence. And we both celebrate the kind of positive, entrepreneurial spirit that makes new ideas come alive. This is a moment of great energy and optimism in India; MIT is by nature an optimistic, forward-looking place. If we can combine our strengths and capitalize on our shared opportunities, I believe India and MIT can make almost limitless progress together – in creating new knowledge, in shaping new leaders and in making important gains against the daunting challenges of our generation. I hope you see the same kind of possibilities – and I look forward to working with you to make them real.